Thanks for having me on Just Contemporary Romance. I love your site. 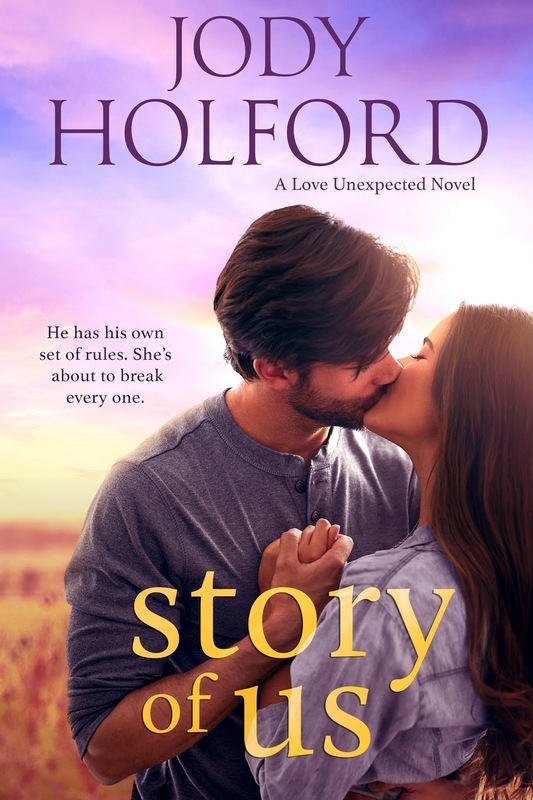 I’m so excited to be here sharing my newest release and the last book in the Love Unexpected Series, Story of Us. This is a special story to me. Declan wasn’t supposed to get his own story but once I started writing, it was clear he deserved one. In the book, Declan—a one time confirmed bachelor—not only falls head over heels in love, but with an employee and the younger sister of a very good friend. The odds might be stacked against them but they prove to everyone—most of all themselves—that they are meant to be. In the scene below, Declan is trying to find that line between friend and employer while doing his best to ignore the immediate attraction he feels for Sophia. He waited and the only sounds were the gentle buzz of the computer and their combined breaths. She hoped only she could hear the heavy beat of her heart. Declan reached our and took one of her hands. He rubbed his thumb over the back of it and sensations tumbled around like her emotions. It wasn’t even noon yet. How could she feel so freaking much? He leaned into her space again and she wondered what it would be like to press her mouth to his. It was hardly the first time she’d wondered if his lips were as soft as they looked. She wanted to run her hand along his strong, square jaw and feel the rasp of his stubble against her palm. Against her neck. “Are you fine?” His voice came out a husky whisper. As they turned back to the spreadsheets and he showed her his accounting program, Sophia wondered if she’d be sorry. Sorry for coming back, for staying away, for keeping secrets. Stealing little glances at Declan while he spoke, she wondered what her life would have been like if she’d stayed. Would she have worked for her family, settled down, married someone they approved of and had a happy little family? Sophia put a hand to her stomach and swallowed the lump in her throat. No sense wondering “what if” when she had a whole hell of a lot of “what now” to face.